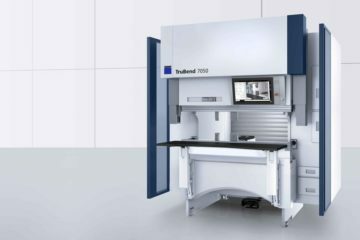 SmartLink seamlessly integrates machine safety, optical protection and optical imaging functions with the CNC system to enhance the operation, functionality, performance and efficiency of the press brake. Press brakes with SmartLink offer a wide array of functions and not only operate without restriction or interference from the optical protection system but with enhanced efficiency and productivity. SmartLink enables optical protection modes to be selected and customised in the CNC bend program. 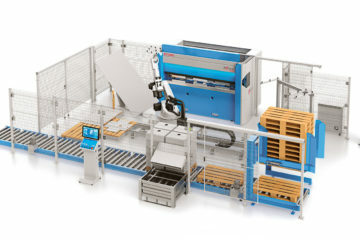 A different mode or combination of modes can be selected for each bend step allowing the operator to streamline set-up to suit the profile of the work piece. SmartLink automatically switches modes on each step of the bend program with automatic blanking of individual sensors to eliminate unnecessary stops and pedal presses for reduced cycle time and the fastest possible part production. Press brakes with SmartLink technology produce parts more efficiently and faster than ever before.